Facial masks have been around since the early civilizations and their popularity doesn’t seem to slow down! Even when ready-to-use concoctions were not available for sale, people found their way to use a power of natural products to deliver essential nutrients and vitamins to their skin. While we remember our grandmas applying sour cream to soothe irritated skin or spreading mashed berries on their faces for the youthful glow and added skin elasticity, these days we are lucky enough to have an option to buy facial masks that are scientifically engineered and that are employing the latest and greatest skincare ingredients without the time-consuming process of making our own products (although we can’t resist doing that once in a while, too!). Facial masks are powerful tools in giving your skin what it needs the most – hydration, firmness, elasticity, anti-aging benefits, youthful glow and complexion perfection, to name a few. Their popularity skyrocketed in recent years and now consumers have the luxury of choosing between different delivery forms and benefits. While our team of beauty experts enjoys all types of masks – overnight, wash-off, peel-off and splash, sheet masks are among our all-time favorites! Sheet masks have been a skincare staple in Asia for many decades and now they are quickly making their ways into beauty closets of US consumers. There are a lot of variation in the textures and ingredients of these masks, but what makes them all related is that they are face-shaped sheets of fabric soaked in nutrition-packed solution. They are also individually packed, making them fast, hygienic and convenient to use. One of the advantages of sheet masks we love the most is that you can use them anywhere, anytime. Whether it’s a comfort of your own bedroom, a stay over at a friend or a family member, vacation, business trip, on board the plane or even a long ride in a cab (yes, we’ve heard these stories from our friends in New York!) 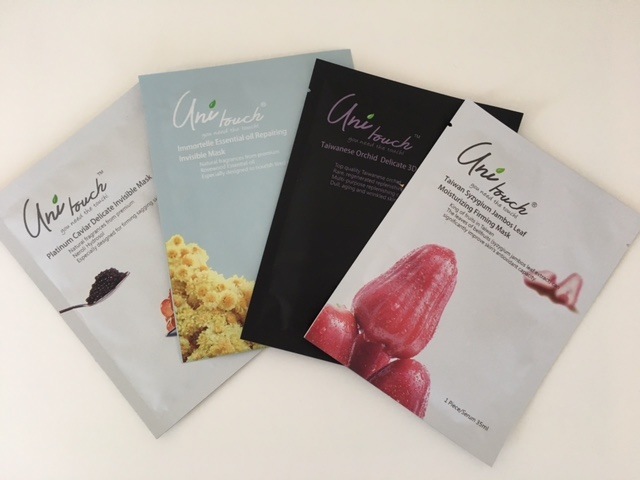 – sheet masks could be your best friends when it comes to making your skin look rejuvenated and refreshed in just a matter of minutes! 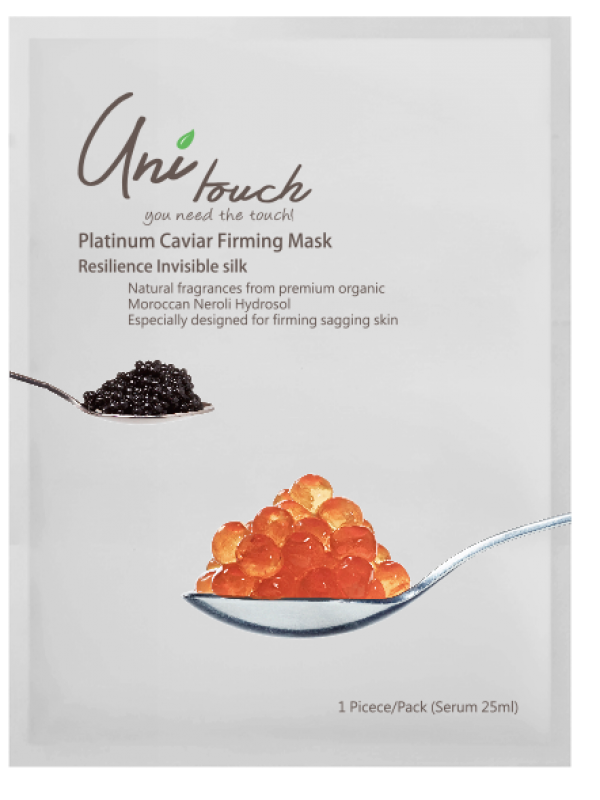 Platinum Caviar Firming Repair Invisible Mask: This mask is specifically designed to help sagging skin regain firmness. It contains precious caviar extracts that have anti-aging properties and contribute to skin rejuvenation, keeping it youthful looking and firm. Also, it is infused with nano platinum – its negative ions provide deep nourishing care and accelerate skin metabolism. In addition to these highly scientific ingredients, this mask is rich in herbal hyaluronic acid (hydrolyzed hibiscus esculentus extract) to lock in moisture and enhance skin’s protective layer against free radicals. 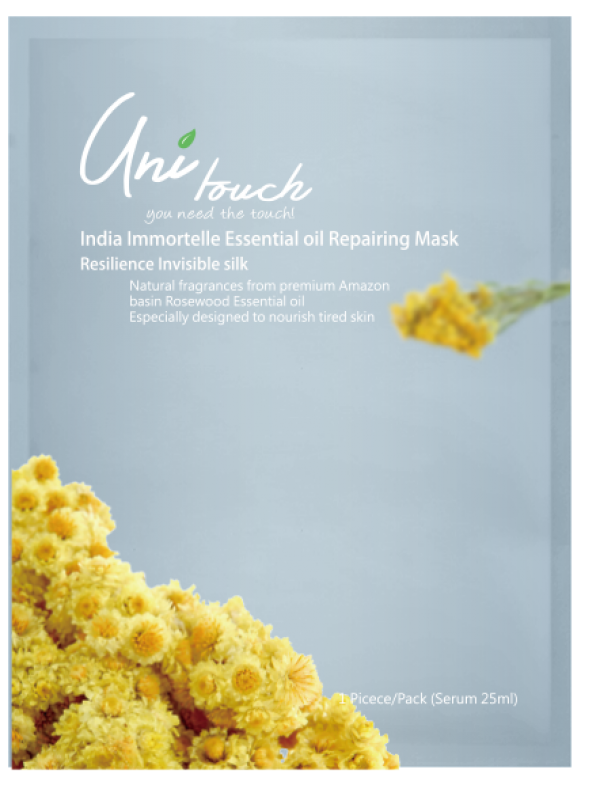 Immortelle EssentialRepairing Invisible Mask: Designed to help moisturize dry skin (but suitable for all skin types), this mask is infused with immortelle essential oil to help skin regenerate, Euphrasia extract that is rich in vitamins to soothe and awaken new skin cells, Rosewood essential oil that balances the skin, and deep ocean water from the Aphotic zone that delivers maximum hydration. 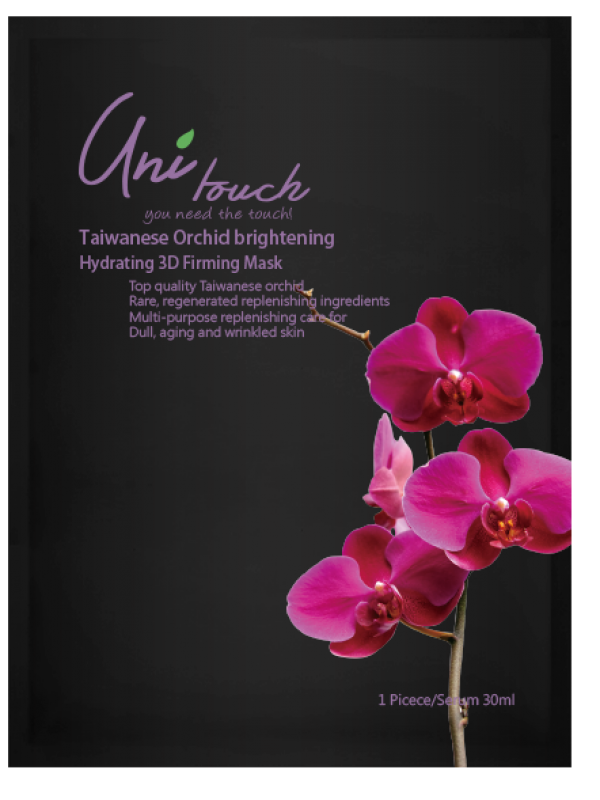 Taiwanese Orchid Essence Brightening Mask: Who doesn’t like orchids? It turns out these beautiful plants have potent skincare ingredients and can help transform dull and dry skin into radiant, well-hydrated and brightened complexion! When it comes to producing orchids, Taiwan is one of the leading regions in the world, and this mask includes an extract from orchids grown in this area. Also, to properly preserve and capture the powerful nutrients, such as polysaccharide, proanthocyanidin, and others, the mask utilizes a professional extraction technology called RTSES. This sheet mask employs Formosa Element A – a skin repairing essence extracted from adansonia digitata in Taiwan’s Lanyu, that helps even skin tone and delivers a boost of hydration to the skin. Also, this product contains ceramides that strengthen skin, helping it retain moisture, contributing to healthy, youthful-looking skin. 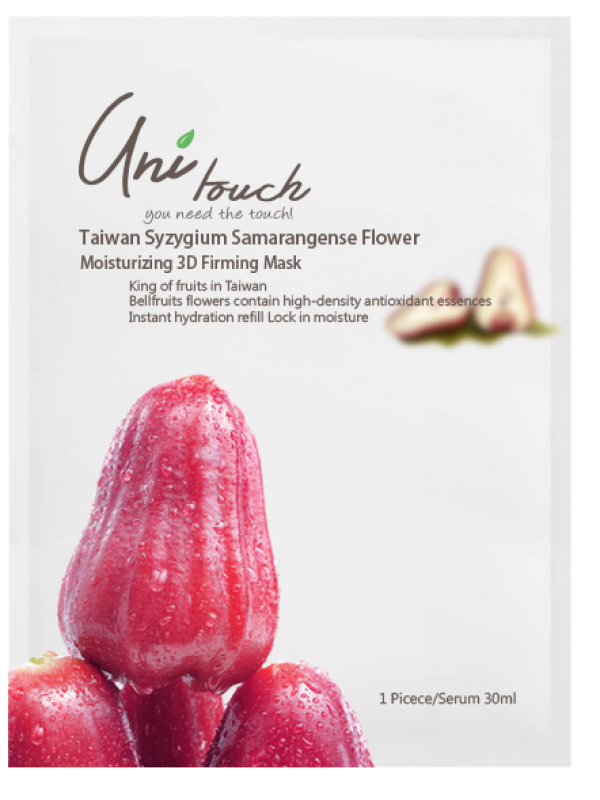 Taiwan Syzygium Samarangense Leaf Moisturizing Firming Mask: Fruits and veggies are great for a healthy, well-balanced diet, but ingredients found in fruits and vegetables have multiple benefits for our skin, too! Bell fruit, also known as the “king of fruits” in Taiwan, has been introduced to Taiwan by the Dutch in the 17th century and has since become one of the nation’s specialty fruit trees. Recently, it has been discovered that the leaves of this tree (syzygium jambos leaf extract) can significantly improve skin’s antioxidant capacity and they are rich in polyphenols and Vitamin C, which help instantly enhance skin’s hydration levels and even skin tones. Similar to the Orchid mask, this product is enriched with Formosa Element A essence to help repair the skin. It also contains natural moisturizing factors extracted from glycine to help regain its elasticity and deliver maximum hydration. Feel free to check out Unitouch website if you need a video tutorial on mask application! In addition to the broad range of sheet masks, targeting major skincare concerns and using powerful botanicals and other ingredients, we also had an opportunity to try the brand’s Cherry Blossom Extract Eye Essence from the Eye Care collection. Since the skin around the eyes is 40% thinner that the rest of the facial skin, it’s important to keep wrinkles and hydration levels at bay and give our area some TLC. This product was specifically designed for the sensitive skin around the eyes and it helps enhance the absorption of the follow-up skincare steps and also helps keep the eye makeup perfect, all day long. Infused with cherry blossom flower extract for brightened and well-hydrated skin, this eye essence also contains caviar extract, sea fennel, copper tripeptide-1 and colloidal platinum. All of these minerals and nutrients work in tandem to improve skin elasticity, increase firmness, hydrate, nourish and help skin appear younger, healthy and radiant. While skincare is very important, don’t forget about your lips when pampering yourself. The skin on your lips and around the mouth is very vulnerable to weather changes and can appear dehydrated and stressed very easily. Check out on a great way to make your lips full and plump. We really enjoyed our experience with Unitouch products! In addition to our round of applause, this skincare collection also won the prestigious Victoire De La Beaute 2016-2017 awards for many of its products!